Here’s a little video taster from my Online Kitchen Medicine course. 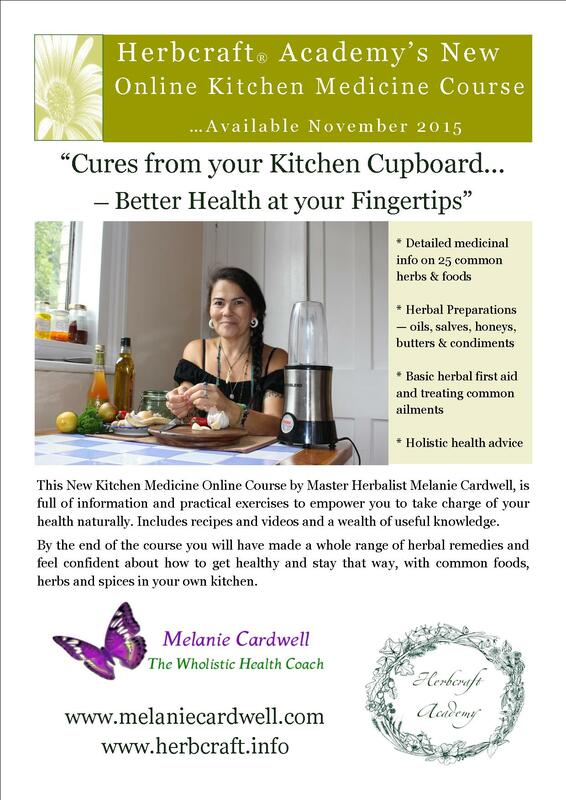 ‘Cure’s from your Kitchen Cupboards, Better Health at your Fingertips’. The course contains not only valuable information on 25 different herbs and spices found in your Kitchen but also 16 different videos showing you various herbal preparations. In this video, we learnt to make a simple Corn Silk Tea. Most people, if they are given an ear of corn will peel it and remove not just the leaves but the little threads which cover it and stick out the top to reveal corn cob, which they cook and eat. Those little golden threads have very valuable medicinal properties as a urinary antiseptic and supportive to both the kidneys and the urinary system. You can use a simple tea from corn silks to help alleviate problems like cystitis and other urinary tract infections. Click the courses tab at the top for more information. A lot of thanks for all your work on this site. My aunt enjoys making time for investigation and it’s really easy to see why. My partner and i notice all about the lively way you create powerful guidance by means of the web site and as well as inspire response from others on this point plus my girl is actually discovering a lot of things. Enjoy the rest of the new year. You’re doing a wonderful job.